This is a rhododendron. Really. It’s the state flower of Washington for a reason. 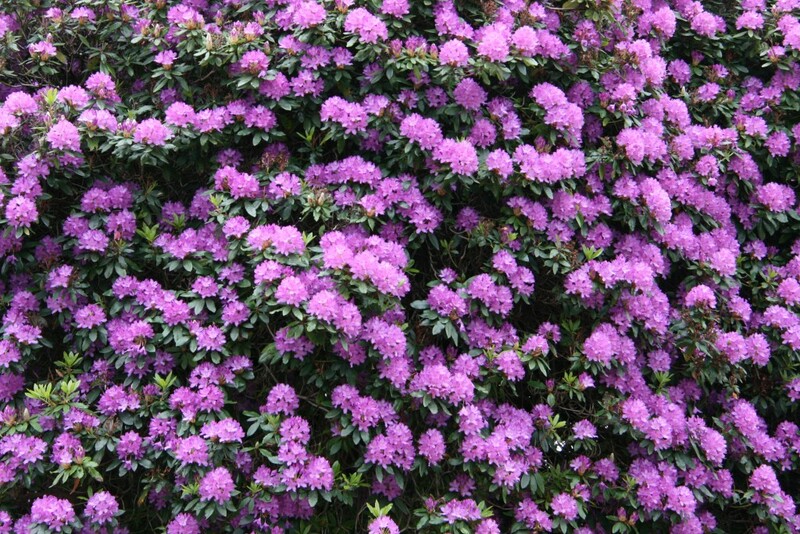 This time of year is just spectacular in Bremerton and beyond as rhododendrons pop with radiant colors. But there’s one rhodie I look forward to every year in this city. No, not the ones in my own yard but rather on Fifth Street, not far from Kiwanis Park. Ben Anson, a retired cop who lives in Illahee, told me about it a few years back. “You must go see it,” he’d say. So I did, and I didn’t regret it. The thing must be 20 feet tall and at least that wide. Owned by the Wilson family, its hundreds, if not thousands of magenta-colored flowers put on a dazzling show each year. Many people who see it don’t even realize it’s a rhododendron. It made me wonder: is there any bigger, more spectacular rhododendron in Bremerton? Or in Kitsap County, for that matter? But he knew, as did I, that I needed to talk to Bremerton Arborist Jim Trainer, who has spent a career not only studying trees but the biggest ones among them. Trainer told me that, yes, there is one he knows of even bigger than the one on Fifth Street. At somewhere around 35 feet tall, it reigns over the Krigsman’s property in Illahee. Not long ago, we wrote a story about an old copper beech tree on their land that is believed to have been planted by Dr. Henry LaMotte, chief surgeon for President Teddy Roosevelt and his Rough Riders. The variety of rhododendron, as well as the soil in which it is planted, make a big difference in how massive they can get, Trainer said. 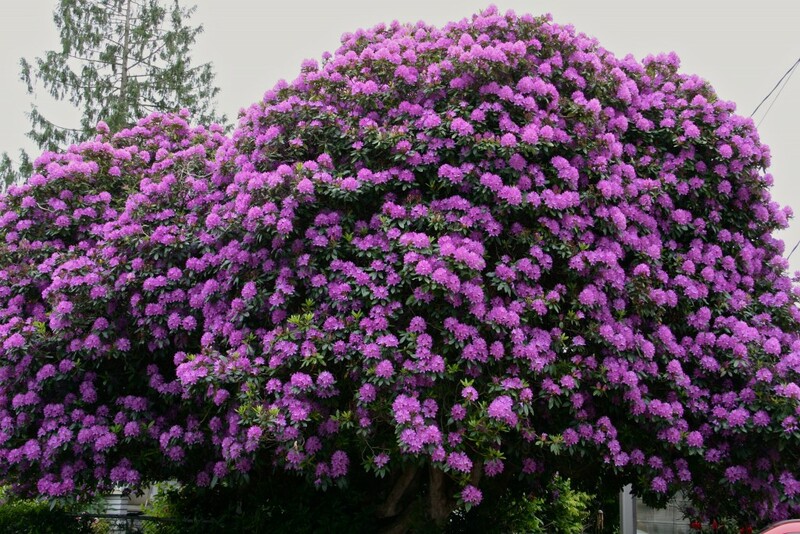 In his book “Trees of Seattle,” plant expert Arthur Lee Jacobsen lists the largest rhododendron “fortunei” hybrid at 40 feet tall and a Rhododendron “catawbiense” at 20 feet tall and 23 feet wide. “So, if your Rhody is a catawbiense it is certainly a champion tree!” Ribeiro said. It’s hard, if not impossible, to be definitive in this case. As Trainer points out: “I haven’t been in everybody’s backyard,” in an effort to find the biggest one. 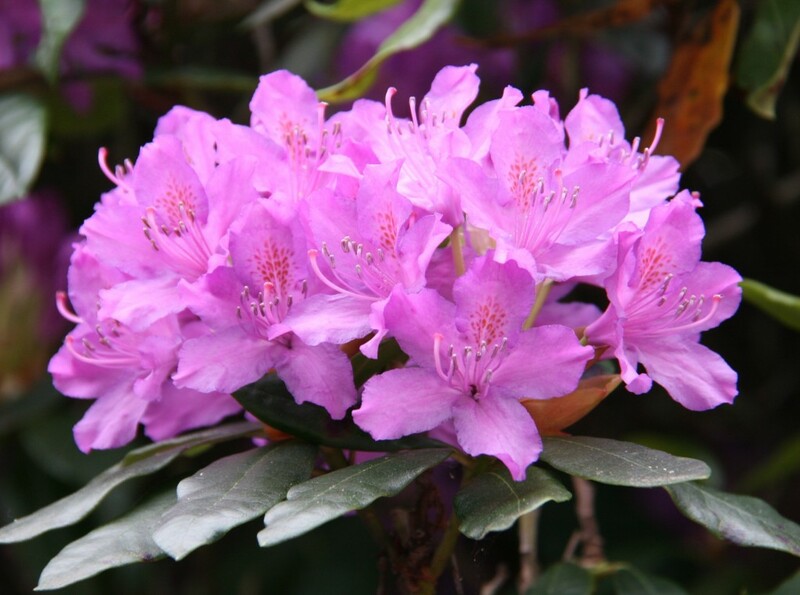 We at the Bremerton Beat will continue to investigate just how special this Rhododendron is. In the meantime, please don’t hesitate to drop me a note — and preferably a photo to go with — if you think you’ve got an even bigger, even more stunning rhodie than this one.